An 8” square frame. 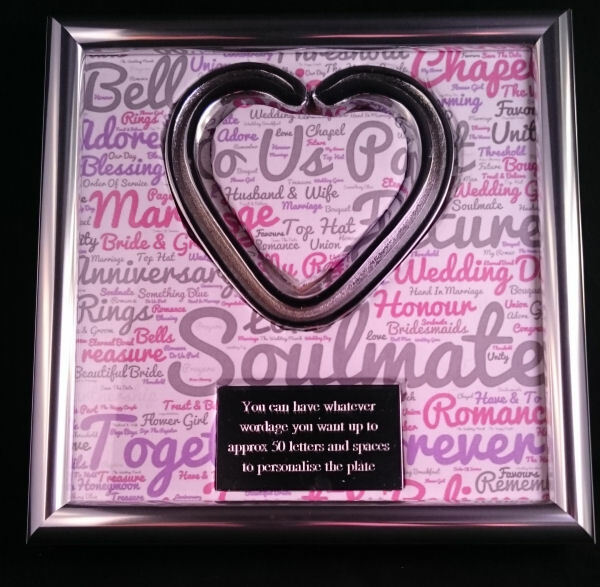 A Heart shaped horseshoe coated in a luxurious chrome finish. An entire background of personalised typography will be placed underneath the shoe. 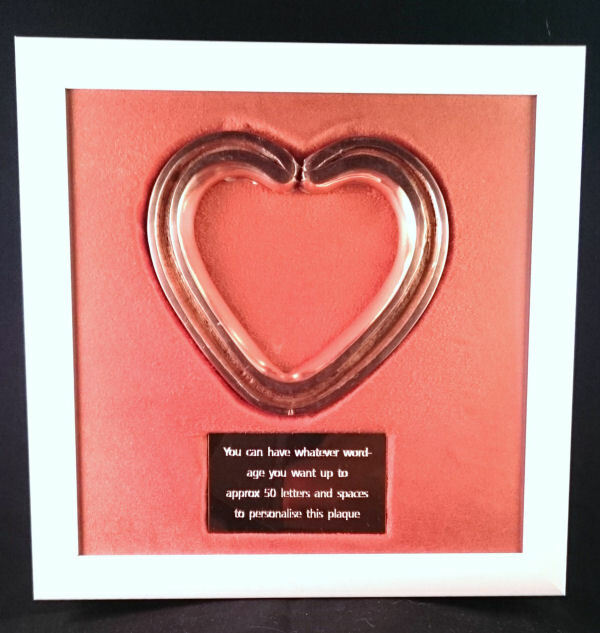 A personalised plaque placed underneath the shoe engraved onto a silver appearance metal plaque 70mm x 40mm The shoe and plaque will be inset within the typography mount and all enclosed within an approx. 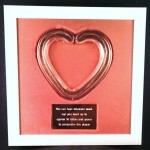 8” square sumptuous silver finished metal frame. 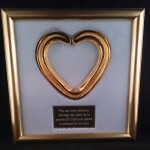 An 8” square frame your own/our horseshoe coated in luxurious 24 carat gold. 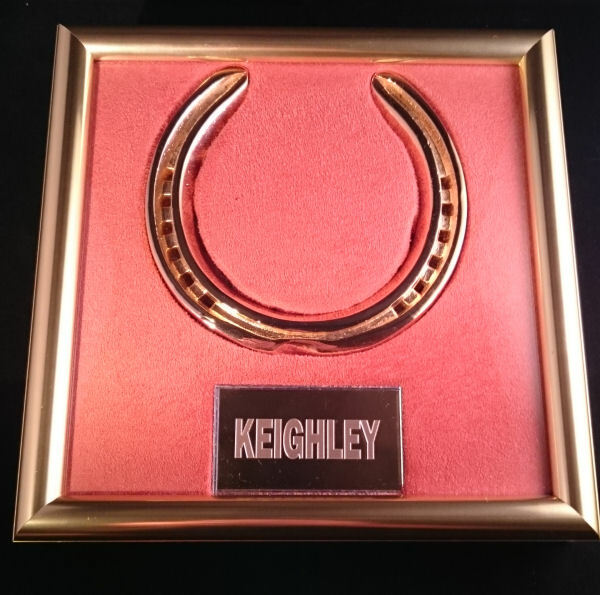 A personalised engraved metal plaque 70mm x 40mm placed underneath the shoe. All mounted on lavish backing with a variety of colour options. 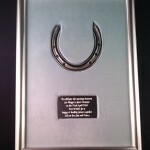 Both the shoe and plaque will be inset within the mount and all enclosed within an approx. 8” square gold finished metal frame. 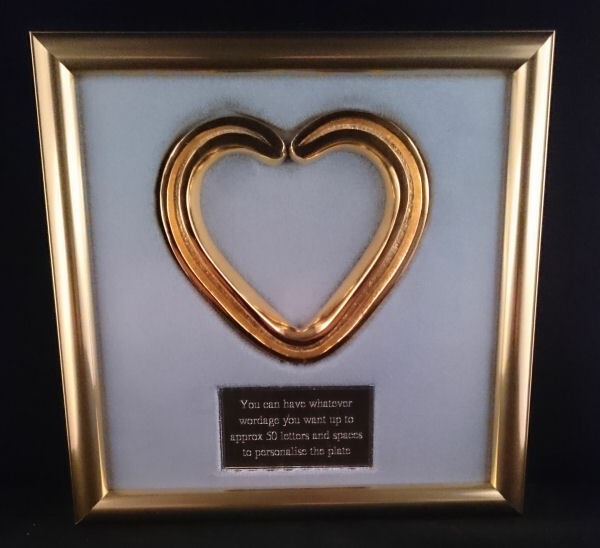 An A4 sized frame in a portrait presentation with your own horseshoe/ours coated in luxurious 24 carat gold finish. . A personalised engraved gold appearance metal plaque 70mm x 40mm placed underneath the shoe. All mounted on lavish backing with a variety of colour options. 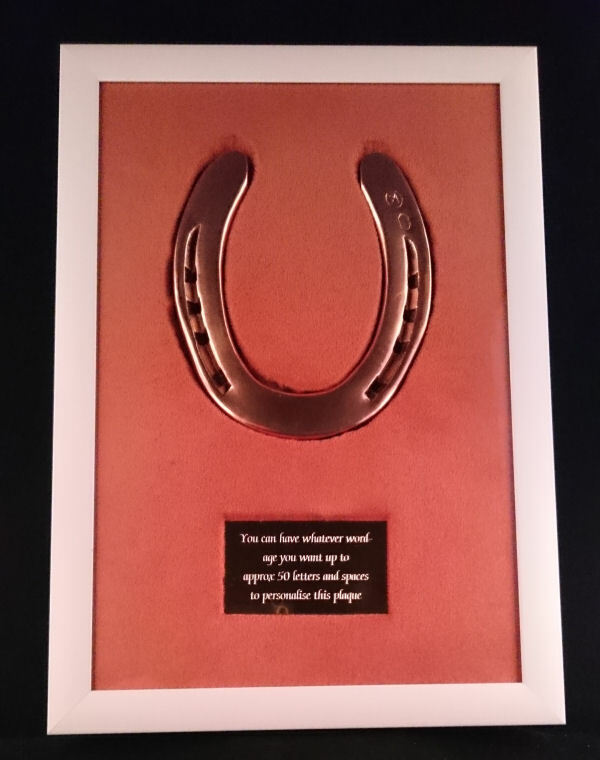 Both the shoe and plaque will be inset within the mount and all enclosed within an A4 gold finished metal frame. 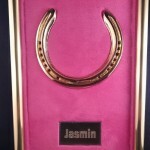 An 8” square sized frame with your own horseshoe/ours coated in luxurious copper finish. 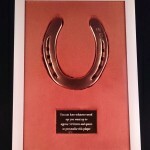 . . A personalised engraved copper appearance metal plaque 70mm x 40mm placed underneath the shoe. All mounted on lavish backing with a variety of colour options. Both the shoe and plaque will be inset within the mount and all enclosed within an 8” square white finished metal frame. 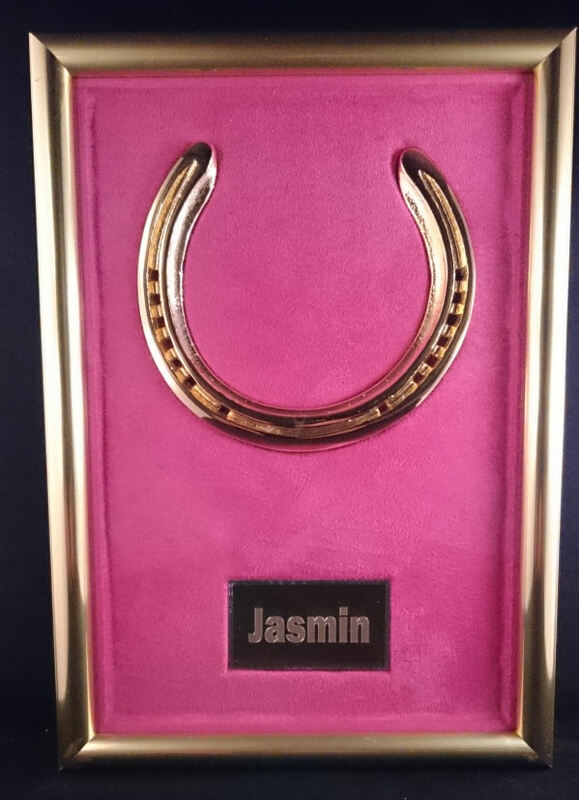 An A4 sized frame with your own horseshoe/ours coated in luxurious copper finish. 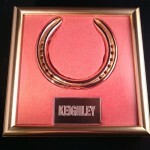 A personalised engraved copper appearance metal plaque 70mm x 40mm placed underneath the shoe. All mounted on lavish backing with a variety of colour options. 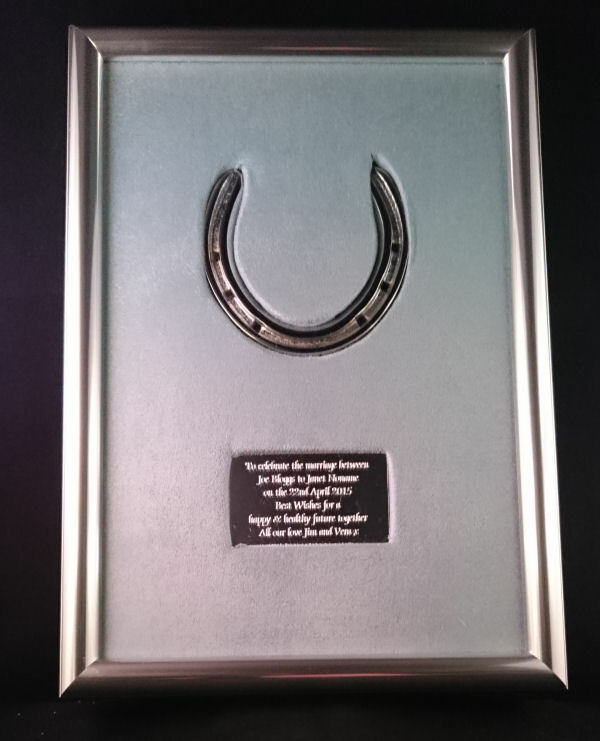 Both the shoe and plaque will be inset within the mount and all enclosed within an A4 white finished metal frame.